Lots more around the block on Storehouse Row! The Navy Yard at Noisette is proud to welcome Callie’s Biscuits (Callie’s) as the newest “Yarder.” Callie’s recently purchased Quarters 761, located inside the Navy Yard’s Naval Hospital Historic District which is listed on the National Register of Historic Places. 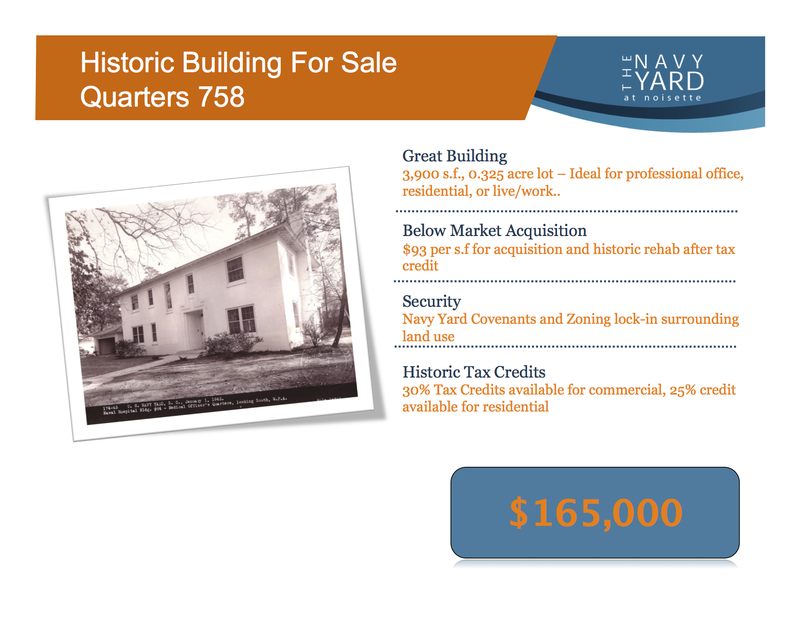 Quarters 761, built in 1917, served as a medical officers quarters for the Navy for most of its life. Callie’s has received national attention for their multiple varieties of biscuits. They are an award-winning food business that specializes in local, hand-made Southern-style biscuits. Recognized by outlets such as the NBC Today Show, the Food Network’s show “Unwrapped”, Martha Stewart’s “Dreamers into Doers”, Coastal Living magazine, and one of Modern Bride magazine’s top 25 trendsetters. In other words, Callie’s Biscuits Rocks! Prompted by a need for more space, Callie’s is moving their headquarters from a downtown Charleston location to the Navy Yard and plans on opening in October of this year. Minor renovations are currently taking place. At first the operations will include production and office space for the business. Owner Carrie Morey hopes to include a retail space at the building to cope with the increased demand the national attention and word of mouth referrals have created. We’re proud Callie’s has decided to call the Navy Yard at Noisette home. Welcome! 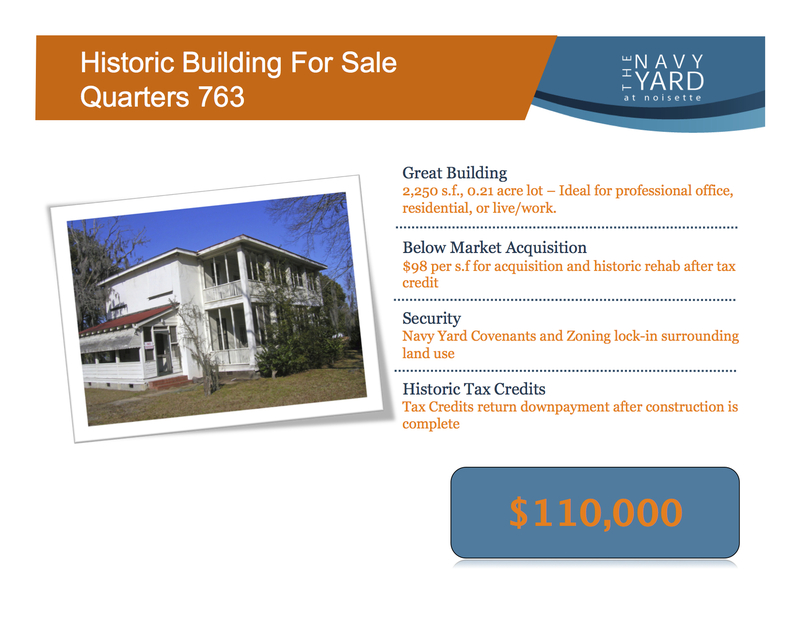 Check out our Interactive Navy Yard Development Portfolio. Do it. Now. Congrats to CMCI for their recent $12.4 million contract with the Army! Congrats to Palmetto Scholars Academy(PSA) on meeting 9 out of 9 objectives for AYP and AYP Overall from the PASS test scores! It’s incredible that this was achieved in their first year of existence and with the lowest public school funding in the Country. PSA is the State’s First Gifted and Talented Charter School and these results show that PSA can and will be a national model for how the business community, higher education, the arts, educators and parents can work together to establish gifted and talented schools for academically gifted children. Congrats and keep up the great work! 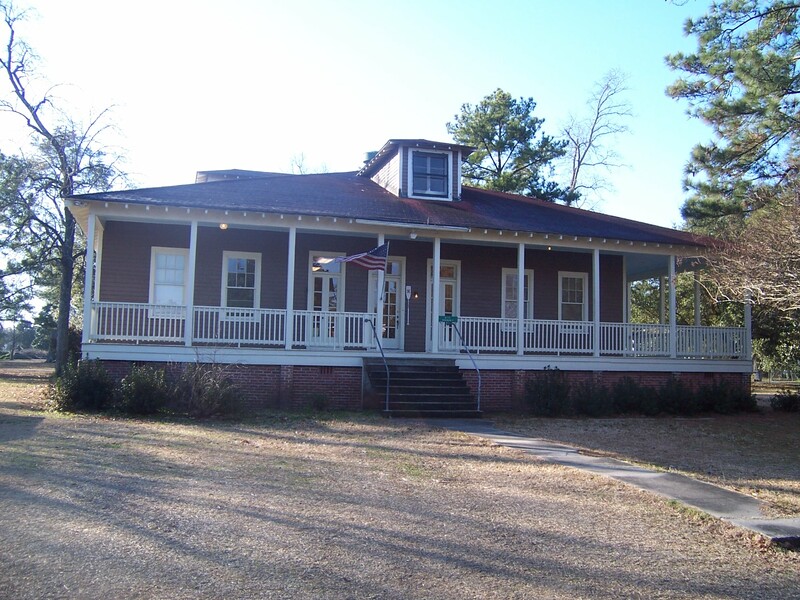 Lowcountry Orphan Relief (LOR) hopes to break ground later this year on a new 4,000 s.f. distribution center to support their current operations at the Yard. Also, mark your calendars for Oct 8th for “Make a Child Happy Day”, a carnival for children in foster care and group homes, hosted at their headquarters at the Yard. Volunteers needed! Keep up on all the latest LOR news here. Green Roof Outfitters installed the first municipal green roof in SC. Cool stuff! Read about it here. Mark your calendars for upcoming Merge Happy Hours at 10 Storehouse Row. Oct 20 and Nov 10 are sure to be a good time! Stay tuned for details. Please contact Geoffrey Reid at greid@noisettesc.com with comments or questions. Ikhana Intelligent Design & Construction, located at 10 Storehouse Row at the Navy Yard at Noisette is a design-build construction and engineering company that is quickly becoming recognized as an industry leader. I recently had a chance to sit down and talk with their management team and the future looks bright for Ikhana. 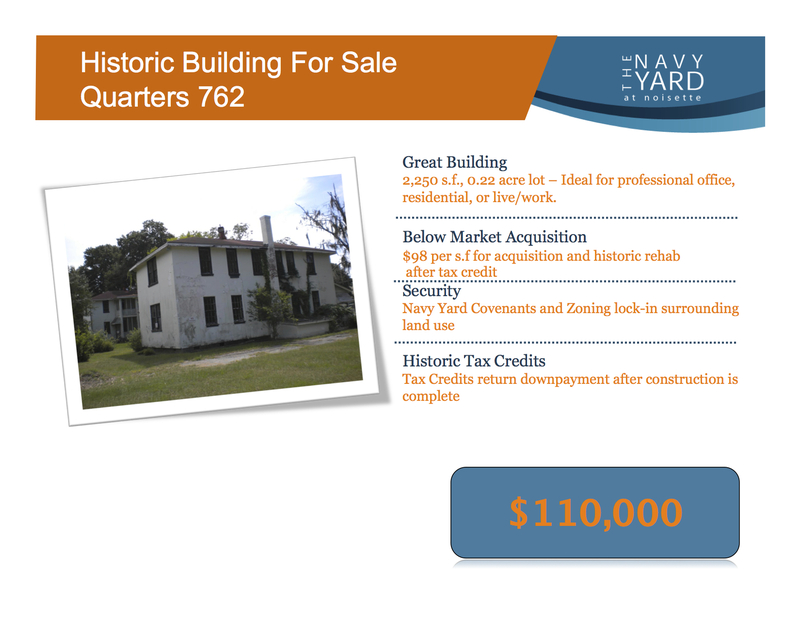 We are pleased they have decided to call the Navy Yard home. Ikhana employs a top-notch team of industry professionals spanning the areas of construction/project management, engineering, design, architecture, and related consulting services. Current and recent projects include mainly federal related complexes but additional work in the environmental services/remediation and historical structures fields will ensure a wider diversity of services for their clients. A sample of previous clients include the Air National Guard, US Army Corps of Engineers, the US Air Force, the US Army, and the US Marine Corps at locations all over the Southeastern United States and beyond. Their focus on Whole Building Design through integrated design approach and an integrated team process is a deviation from the typical planning and design process, further separating them from their competition. Ikhana moved its headquarters to the Navy Yard in early 2011 as the firm saw its employee count jump from 3 to 12 over the last several years. The company is poised to expand and grow its team once again as the business environment continues to improve. Expansion will initially continue to take place here at the Navy Yard but long-term plans call for opening multiple satellite offices. Robert Pickard, Director of Business Development for Ikhana points to the growing business district presence at the Navy Yard, particularly in the architecture, engineering and construction fields as a factor in locating and growing their business at the Navy Yard at Noisette. The unique arts and creative culture found at the “Yard” and specifically at 10 Storehouse Row “lends itself to creative thinking and working,” Pickard stated. Pickard also points to the wide variety of artists, marketing firms, digital/graphic design companies, and architecture firms located in the same historic yet modern office building as their headquarters that help to create a special work environment. The Navy Yard at Noisette is proud to associate itself with Ikhana and we look forward to watching their continued success. For more info on Ikhana, please visit their website or call them at 843.566.7800. The Dubplates are performing this Friday night at Runaway Bay at Riverfront Park – This Friday the 13th, from 7:30pm – 11pm, The Dubplates are playing out on the Restaurant Patio at Runaway Bay. Call 843-793-4010 for details. 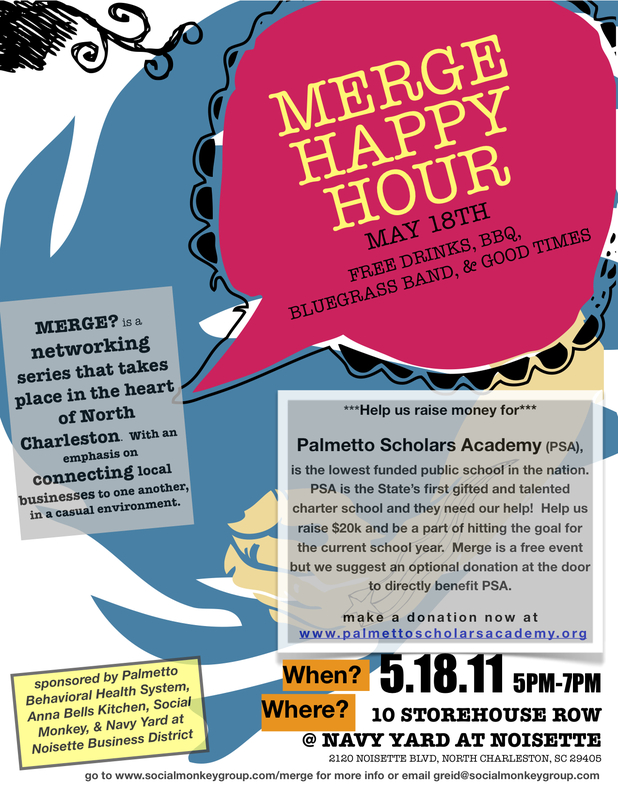 Merge Happy Hour to benefit Palmetto Scholars Academy is Wednesday May 18th 5pm-7pm at 10 Storehouse Row – Free drinks, bbq, networking and the Folly Brach Bluegrass Society Band will converge next week to help raise money for Palmetto Scholars Academy (PSA). PSA is the lowest funded public school in the nation and is the State’s first gifted and talented charter school and they need our help! Help us raise $20k and be a part of hitting the goal for the current school year. Merge is a free event but we suggest an optional donation at the door to directly benefit PSA. Merge is a networking series that takes place in the heart of North Charleston at the Navy Yard. With an emphasis on connecting local businesses to one another in a casual environment, each month we seek to raise awareness and money for a local nonprofit or cause. go to www.socialmonkeygroup.com/merge or facebook event page for more info. PeopleMatter Featured in the Charleston Regional Business Journal – Our favorite software company continues to make headlines. Read the article and check out what PeopleMatter is all about here. Parents Anonymous(r) of South Carolina, Inc Executive Director to give Keynote Speech at Citizens Review Panel National Conference – Troy Strother, Executive Director of Parents Anonymous of South Carolina to give keynote speech at the Citizens Review Panel National Conference to be held in Charleston, SC May 17- 20 at the Charleston Marriott on Lockwood. The theme of the conference is A Force For Change. Mr. Strother will speak about Parents Anonymous(r) as a force for change to prevent child abuse and neglect. Parents Anonymous(r) of South Carolina is also hosting a welcome reception to kick off the National Citizens Review Panel Conference on Tuesday, May 17th at 7 pm. 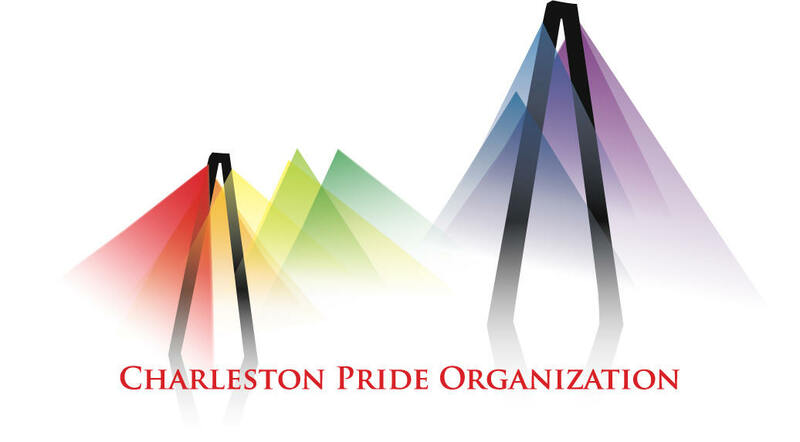 Attendees from across the country will be in Charleston for this week long conference. Congrats Troy! A key to the success of the Navy Yard community lies in promotion of the arts, performance centers and a lively appreciation for history. These elements add richness and fun to the “Yard” experience, and they attract people with the kind of values and perspective needed to sharpen the project’s creative edge. 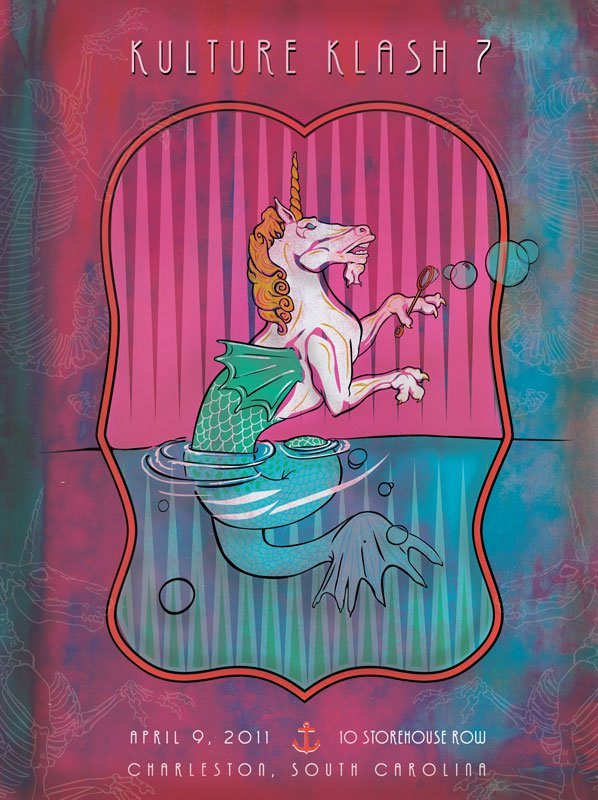 The Navy Yard is a place that is alive with creativity and attracts all levels of artists. Just ask any of the 85+ businesses already here. Clusters of artists, eco-businesses, building/planning types, nonprofits, and digital design firms enjoy a culture built around creativity, diversity and accessibility. Art can be found everywhere at the Yard. The architecture art is what usually grabs everyone’s attention first. Although sustainability is a guiding standard for construction quality, innovation is the standard for design. Beyond preservation of historic structures, there are few constraints to architecture. The Yard is becoming the Lowcountry’s portal to 21st century designs, bringing a world of fresh ideas to residential, commercial, and civic building. 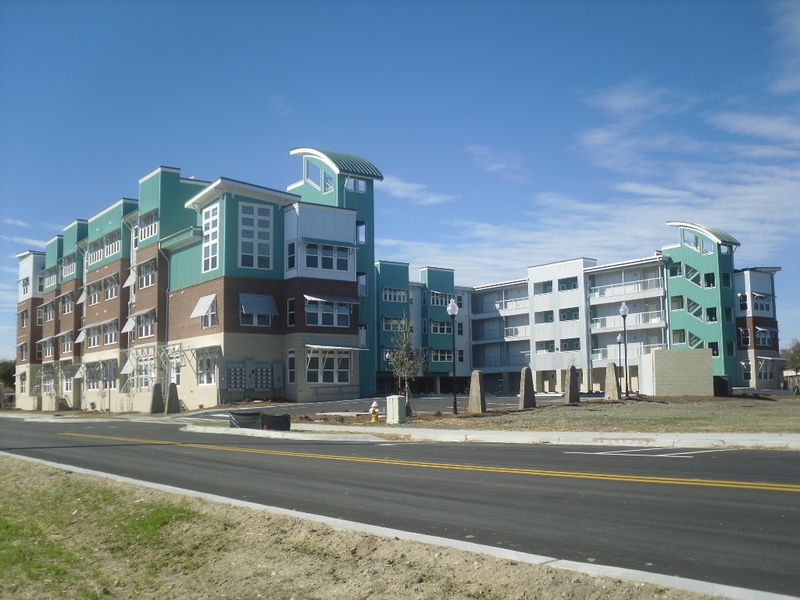 Modern structures are making great neighbors with renovated historic naval buildings all designed to enhance and inspire the lives of those that call them home. When at the Navy Yard, you experience art in every building and landscape you encounter. Galleries, art festivals, artists’ studios, performance centers, historic memorials to name a few art examples have integrated the Yard to make it a normal part of your everyday experience. A stroll around Riverfront Park alone, provides ample exposure to the arts through outdoor art competitions, multiple large-scale festivals, Naval Base memorials, and flurishing restaurants. The park regularly attracts those looking to paint, draw, photograph or simply relax and enjoy the views. Driving through the Navy Yard, outdoor art is located in street mediums, on building walls, and adjacent to many buildings having their own unique public display of art. Walking through the various buildings which employ over 2,000+ people, you will see works of art on display from some of the most talented local artists, which takes on many forms and provides much inspiration. 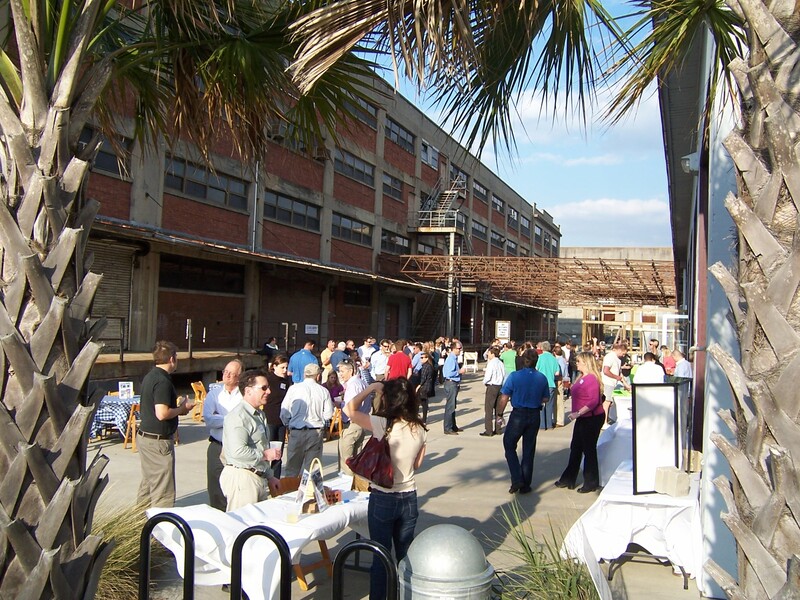 The Yard is proud to host annual events such as Kulture Klash, parts of the North Charleston Arts Festival, a wide variety of concerts,and numerous other art related events that attract thousands of attendees each year. 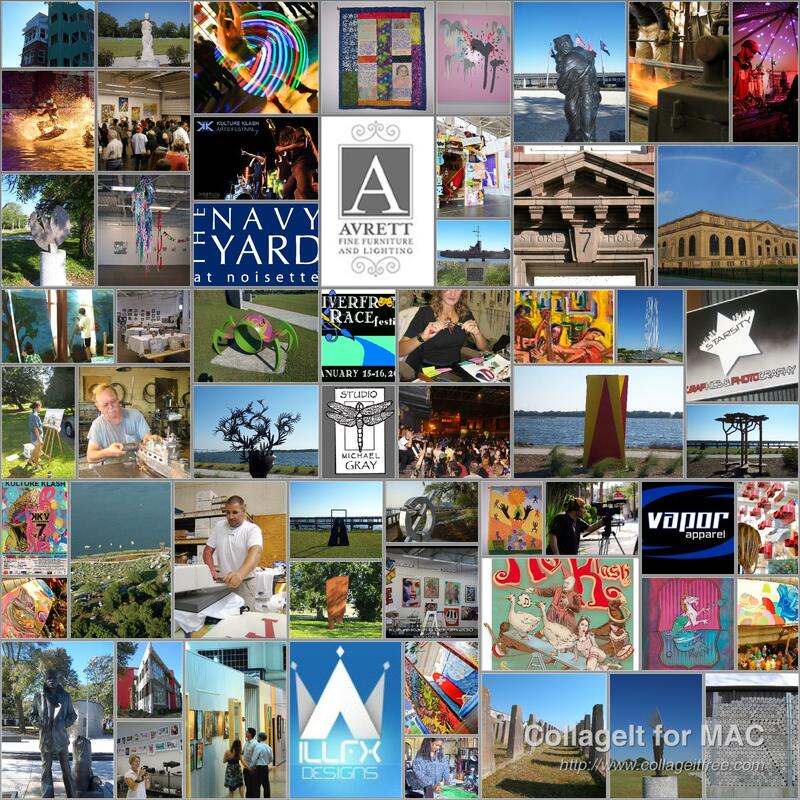 The Yard is also very proud to be a part of the larger 3,000 acre Noisette Community which boasts many more arts related accomplishments that have been carefully woven into the fabric of all that live, work, or play here. View colorful, innovative paintings and sculptural objects achieved through experimentation with nontraditional materials. Found objects, card stock, yarn, and other disposable products are cut and reconfigured to take on the quality of moving paint. The City of North Charleston Cultural Arts Department proudly presents the 2011 North Charleston Arts Festival. This annual nine-day event highlights national, regional, and local artists and performers in the areas of dance, theater, music, film media, and visual & literary arts, and draws over 30,000 visitors annually. The Main Event, held Saturday, April 30, and Sunday, May 1, at the North Charleston Performing Arts Center and Charleston Area Convention Center, offers free admission and parking to over 40 performances on four themed stages; Cultural Heritage, Youth Entertainment, Bands, and General Audience. Other Main Event activities include judged art and photography shows, the SC Palmetto Hands Juried Fine Craft Exhibit, a gem & mineral show, an antique show, children’s activities, arts & Crafts vendors, and more. Other inspiring events take place at various locations in North Charleston throughout the Festival Week. An array of free and ticketed events include street dances, concerts, theater presentations, film screenings, an Art Walk, children’s activities, workshops and demonstrations, a National Outdoor Sculpture Competition and Exhibition, and much more. The festival concludes with the Grand Finale at North Charleston Riverfront Park featuring performances, children’s activities, and fireworks over the Cooper River. Visit the City’s website at www.northcharleston.org for a listing of events and programs planned for the Arts Festival. West Yard Lofts is a big hit for the Navy Yard at Noisette. The first multi-family residential project at the Navy Yard is full and it filled up in record time. Construction for the 4-story, 60 unit apartment building located off Noisette Blvd wrapped up in January of this year and initial demand has exceeded expectations. The first residents moved in on January 18th. March 23rd saw the final lease signed and shows that demand for more housing is evident. For those wishing to live at West Yard Lofts, you will have to sign up for their waiting list which is growing as we speak. The residents that jumped on this opportunity right away are excited about the opportunity to live in the vibrant Navy Yard and the larger Noisette Community. Residents span the spectrum of backgrounds and reflect the overall diversity of the area. Already residents have joined together to start planning for social activities. About 140 people live at West Yard Lofts in a combination of one, two or three bedroom apartment units. We are very proud and excited for the success of the West Yard Lofts and would like to thank everyone involved for making it such a success! This past Wednesday, 10 Storehouse Row at the Navy Yard at Noisette welcomed 100+ people from around the North Charleston business community as they came together for a continuing business networking series called “Merge”. The event was co-sponsored by the Navy Yard at Noisette Business District Association and several other local businesses. Co-sponsors included All Occasions, Anna Bells Kitchen, Biohabitats and Social Monkey Group. Special thanks to all the sponsors! Merge is a networking series that takes place in the heart of North Charleston. With an emphasis on connecting local businesses to one another, guest sponsors have the opportunity to showcase their business or cause and exchange ideas and contacts in a casual environment. This month’s event saw special awareness to the works of Biohabitats. Biohabitats is the nation’s leading ecological restoration, conservation planning and regenerative design firm. The coastal marshes, islands and rivers of the Charleston region are a natural resource that will benefit from Biohabitats having recently opened an office at the Navy Yard. A traditional lowcountry oyster roast seemed fitting and education pertaining to preserving these areas was presented during the event. The event allowed attendees to enjoy appetizers, oysters and beverages as they mingled and networked outside on another beautiful spring day. The diversity of the industries represented at this event exhibits the thriving business and dynamic nonprofit culture that is located in and around the Noisette community. We are so proud to be a part of all the progress and national recognition the community has received and we look forward to the continued success. 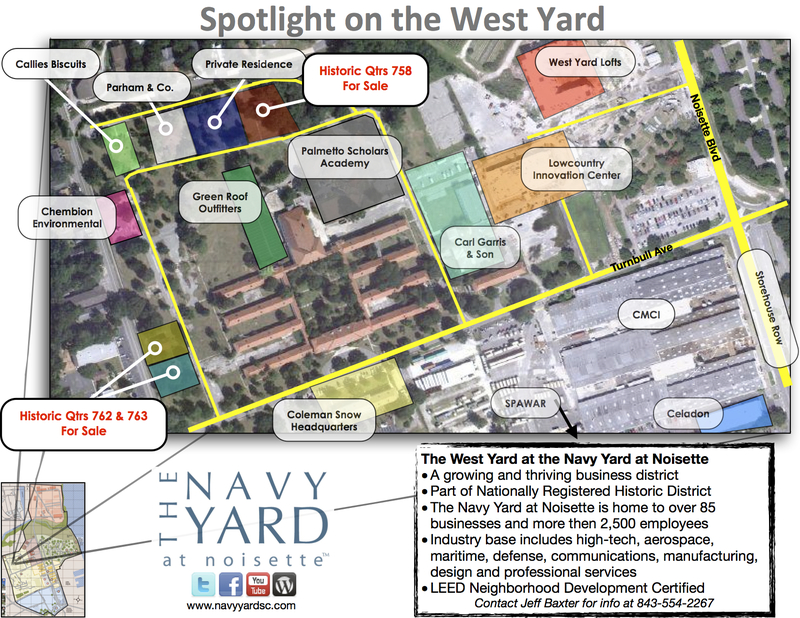 The Navy Yard at Noisette alone is home to 80+ businesses with over 2,000 employees calling the “Yard” home. It is evident there is a shared sense of pride and vision for the area. 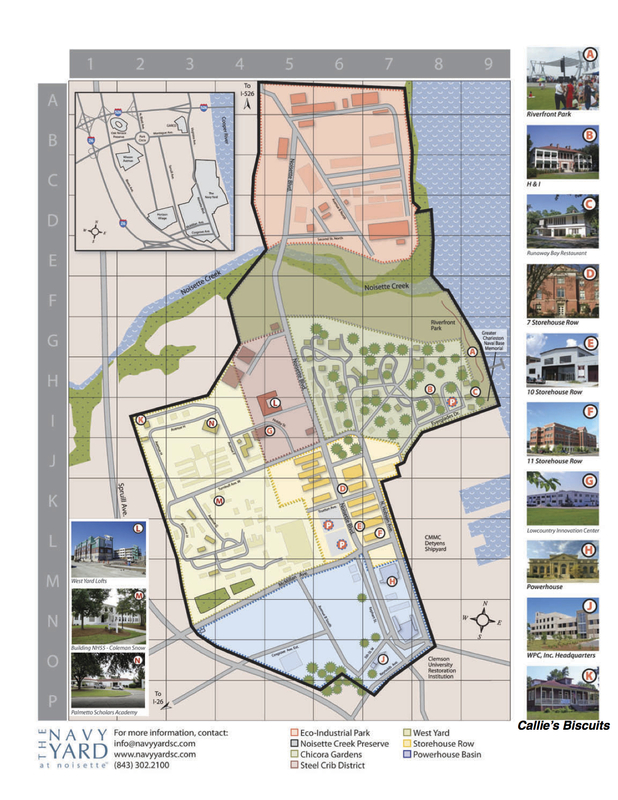 The Noisette Master Plan shows and states that key to economic revitalization is everyone having a shared vision. As this shared vision continues to grow, the Noisette Community let’s the world know it is a vibrant, healthy city embracing its heritage and celebrating its role as community, ecosystem, and market place. 10 Storehouse Row, also referred to as the Urban Clubhouse of the Navy Yard is home to many unique events during the course of the year and we are proud to have partnered with the new Merge Networking series. With the success of the previous Oyster roast Happy hour Event, more events are being planned. If you are interested in getting involved or have the “urge to merge” please contact Geoffrey Reid at greid@noisettesc.com.